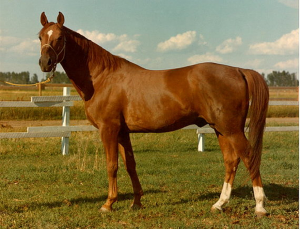 Touchstone has built four generations of warmblood mares through selective line breeding with Hanoverian, Oldenburg and Dutch stallions. Concentrating on the “A” line the program has used this bloodline every second generation. 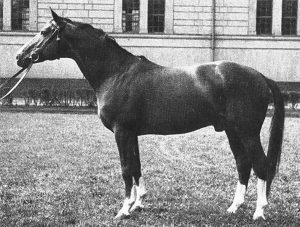 Touchstone’s foundation sire was Abrupt a direct son of the line founding stallion Abglanz (view pedigree), perhaps the most influential stallion of modern times in the Hanoverian breed.